The value of U.S. exports to Latin America and Canada increased by 2.6% and 2.5%, respectively between February 2018 and 2019, compared with the value of imports to the United States. BLS’ indicator, the terms of trade index, measures the competitiveness of U.S. goods in the global market. The index increases as the value of U.S. exports rises relative to imports to the United States from other countries. The increase is good news for Houston and for Texas, where strong prices for goods in foreign markets should help domestic producers, as long as foreign buyers do not find cheaper alternatives. With trading relationships with more than 200 countries, according to the Greater Houston Partnership, Houston’s economy is deeply intertwined with global trade and foreign investment. The Brookings Institution estimated in 2017 that more than 17% of the region’s economy was tied to exports, supporting more than 330,000 jobs. In Texas, the automobile and energy sectors are tied most tightly to Mexico’s economy, Robertson said. The stronger value of U.S. goods sold in Mexico and other Latin American countries is a good sign for those industries. Such international trade is dependent in large part on currency fluctuations and political uncertainty, which can affect countries’ trade behavior, Robertson said. Hanging over trade relations between the United States and its Latin American trading partners is the fate of the trade pact intended to update NAFTA. President Donald Trump, a longtime critic of NAFTA, signed a new trade deal with Canada and Mexico at the end of November, but it still is awaiting approval from Congress. 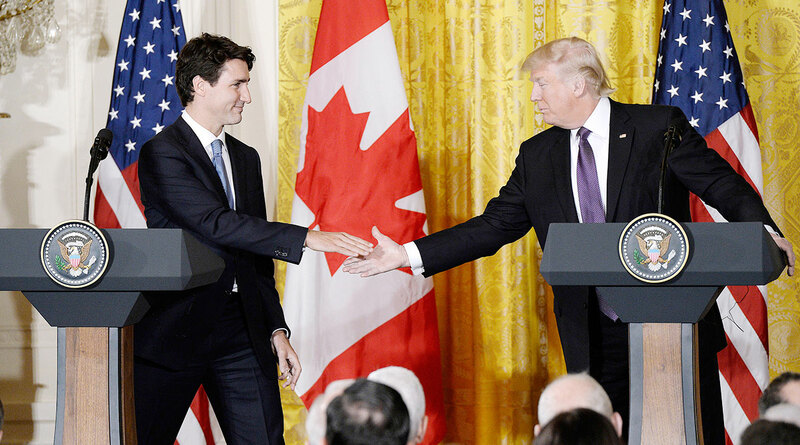 At the time of the agreement among the countries’ respective leaders, Canadian Prime Minister Justin Trudeau referred to it as the “new” NAFTA. While trade with Latin America was strong, the value of U.S. goods sold by American producers in China and Japan decreased, sending the terms of trade index with those countries falling 1.8%and 2.4%, respectively. The president imposed tariffs on China nearly two years ago, starting a trade war between the global powerhouse economies that has affected everything from steel manufacturers in Houston to plastic shipments. Most recently, Trump said tariffs may stay for a “substantial period” of time. Experts also theorized that the terms of trade index fell for China because the country’s economy is slowing, reducing its demand for U.S. goods.